Neon has even shown up on textiles! 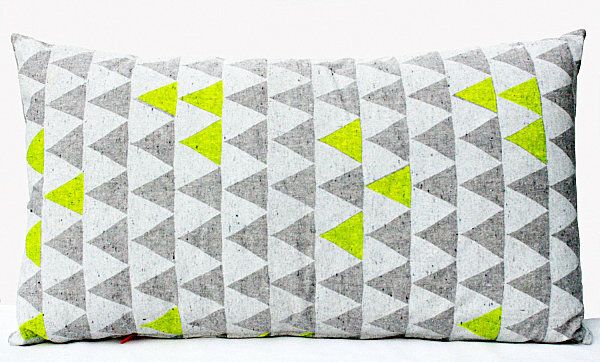 Artisans are increasingly using neon shades in their designs, as shown by the crisp Geometric Design Cushion Cover from Etsy shop Aqua Door Designs. The tile-like pattern below is created through the process of screen printing. Many of today’s neon textile patterns incorporate bursts of color into a neutral palette, as shown by the vivid yellow triangles dispersed throughout the grey and white tones of the screen print below. The Mountains of Montana pillow is available through Etsy shop Earth Cadets. Bonus points if you can spot the colorful zipper! We now feature an assortment of artwork that is bursting with color! In fact, purchasing neon in screen print, poster or painting form is a wonderful way to flirt with this fluorescent trend. 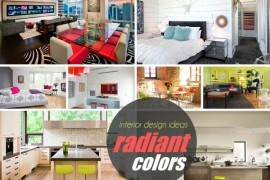 If you like the bright look on your wall, you can branch out into the world of neon furnishings and textiles. 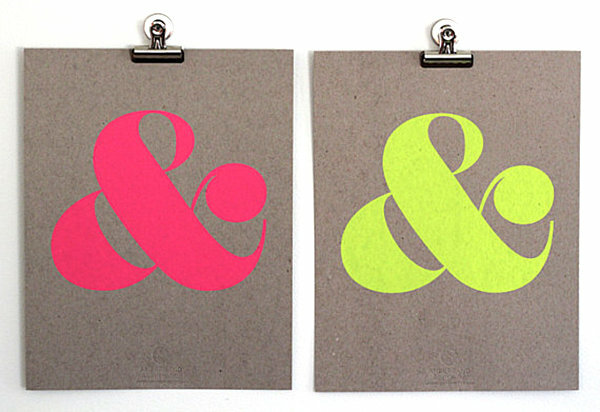 The Ampersand Screen Prints below come from Etsy shop Ampersand Shop. Once again, we see the magic of neon displayed against a neutral background. The next featured piece is called Neon Stripes. 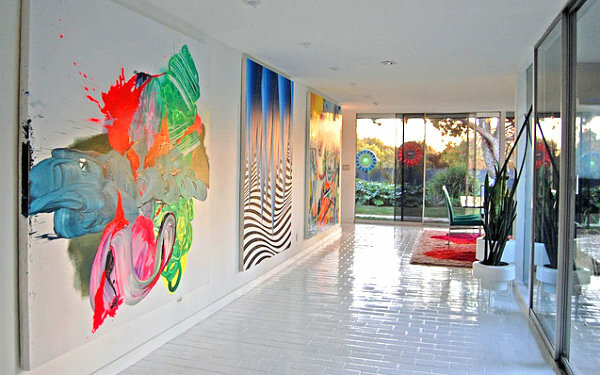 As its name suggests, this artwork by Matt Micallef juxtaposes neon stripes of pink, orange and green with other vibrant hues like purple and aqua. A touch of brown is thrown in for good measure. 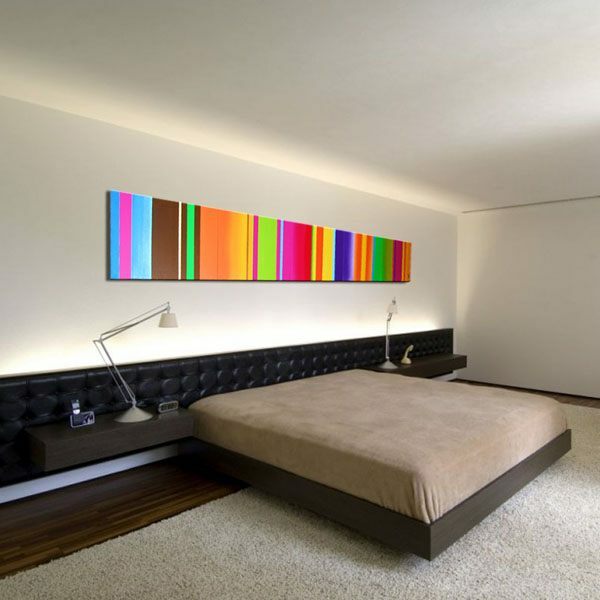 With the range of a spectrum, this painting spreads its modern design from end to end. 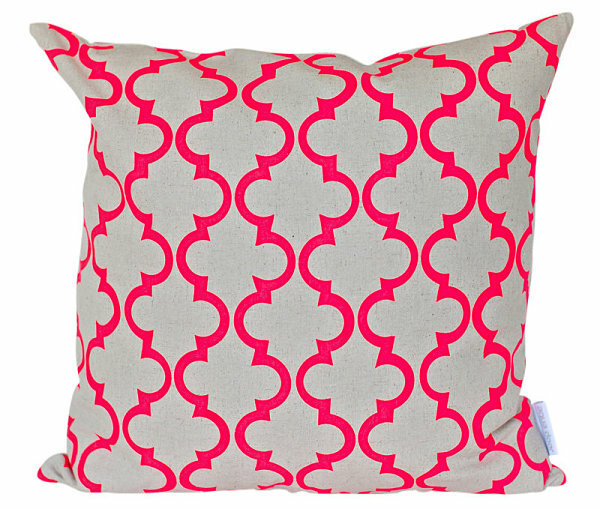 Perfect for over a sofa or a bed, as shown below! 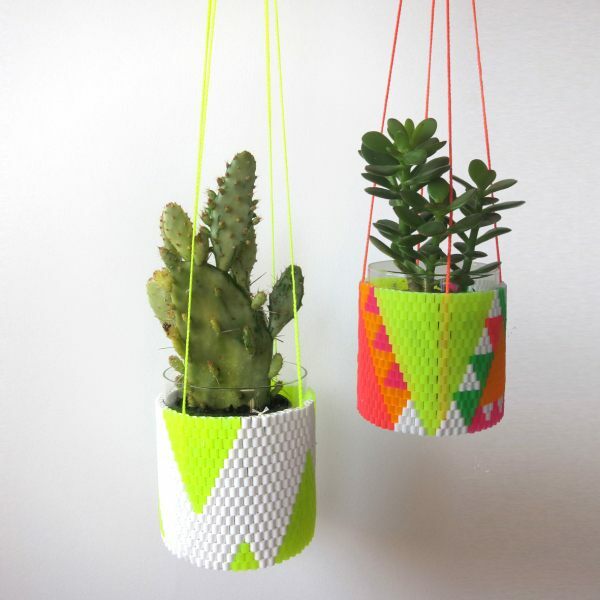 Thanks to the craftiness of artisans with a creative eye, neon is putting its stamp on a range of accessories, from vases to planters. 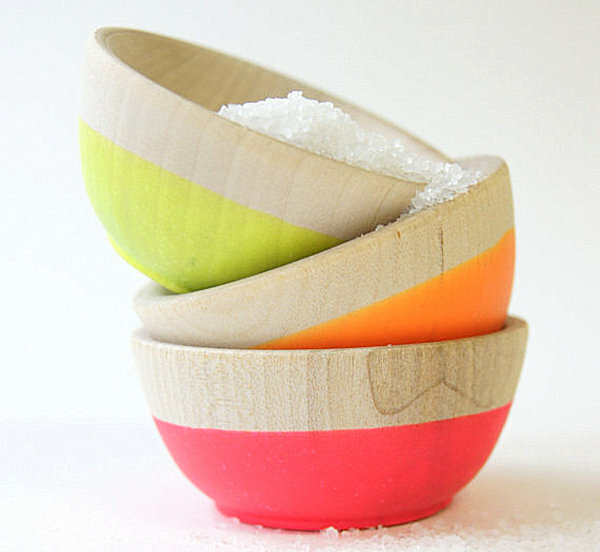 Below we see the hand-dipped wonder of the Wooden Mini Bowl Set of 3 in neon colors, from Etsy shop Wind & Willow Home. 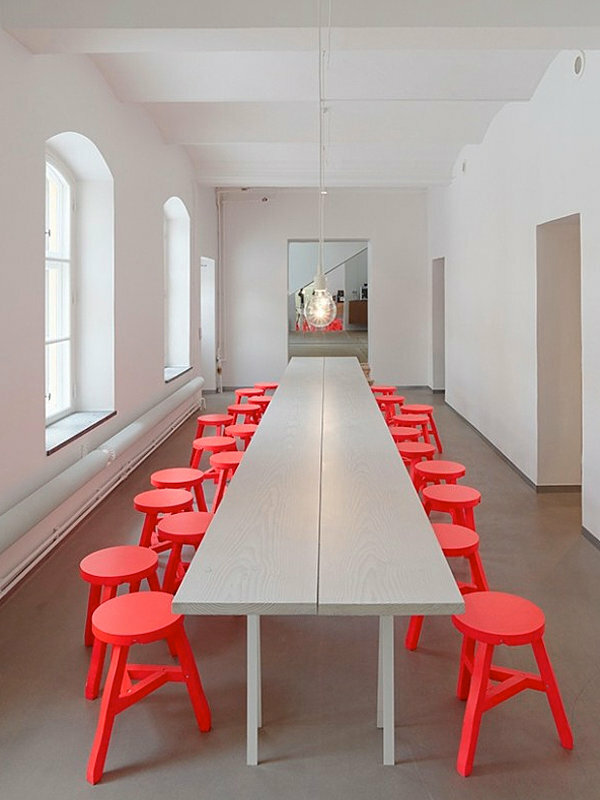 The combination of fluorescent brightness with unfinished wood is nothing short of stunning. Many vintage items are getting the day-glo treatment, like this hobnail milk glass piece that has been spray painted neon pink. Funny how each bump of the design seems to stand out once the item is washed with color. 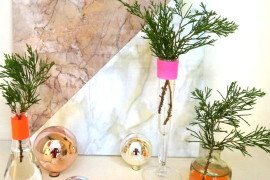 A wonderful combination of old and new, the Neon Pink Milk Glass Candle Holder is available through Etsy shop StayaFLOAT. 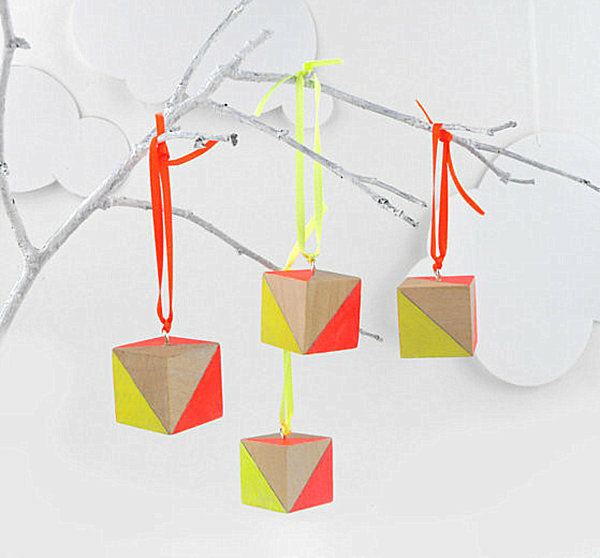 The neon blitz has hit the world of party decorations! 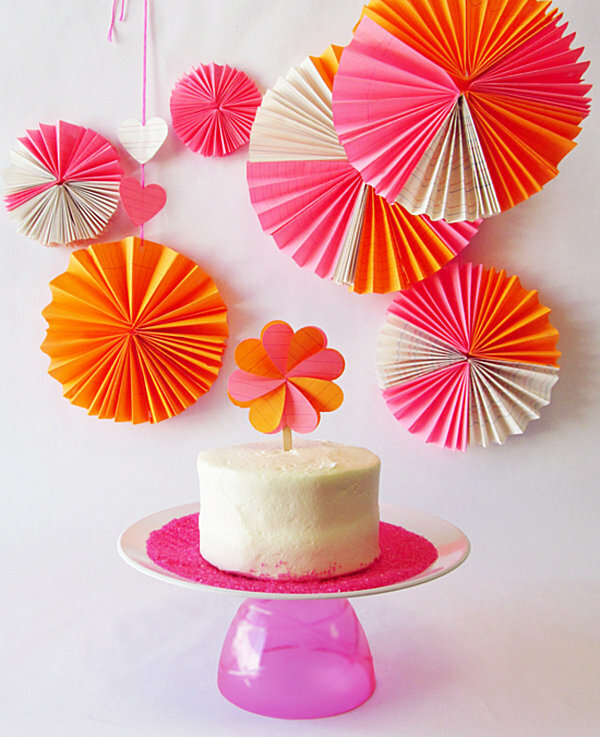 The DIY project below reveals how you can make a slew of decorations using super- affordable neon notebook filler paper. It’s amazing what can be achieved with a few dollars and a little creativity! Check out a full tutorial at Make Something Happy. 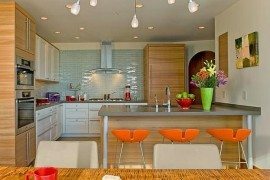 Another reason to love neon: it’s versatile! 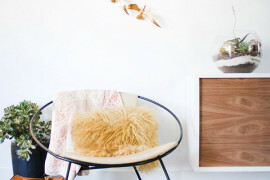 This one trend can be found in ultra-modern artwork and accents, tribal patterns and vintage items alike. 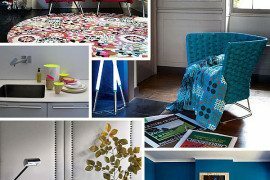 Just as it brings a futuristic look to contemporary pieces, it perfectly refreshes retro finds by breathing new life into each selection through color. 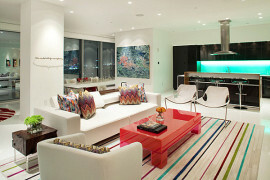 Plus, neon can transform the most drab of spaces to the most interesting of rooms. 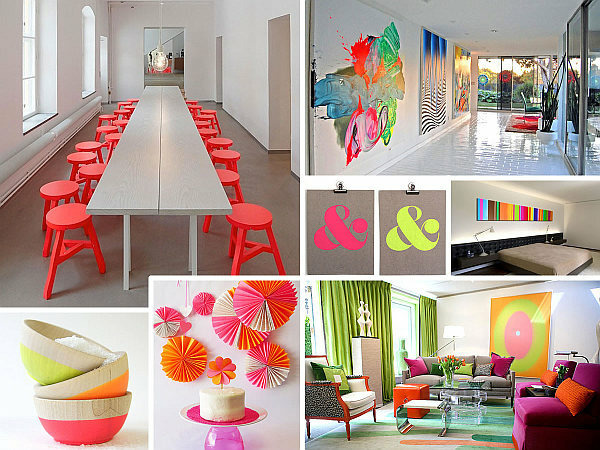 How will you use neon in your abode?